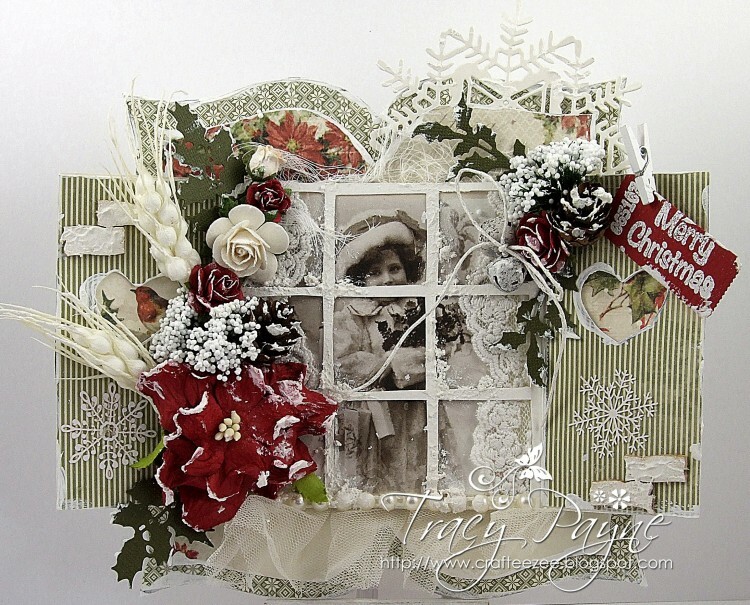 Another card from one of the classes that I took in Oslo Norway recently again using the most gorgeous papers from Pion Design’s Christmas in Norway collection and the adorable image through the window from the Grandma’s Attic Christmas Time sheet. OMGosh Tracy, this is just sooo beautiful!! It is so creative and interesting in that there is so much to discover on this card. It’s an awesome and stunning design….